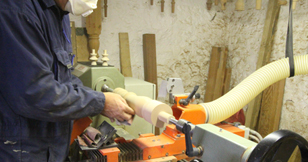 We are specialist woodturners based just outside of Olney in Buckinghamshire with over 25 years of experience. 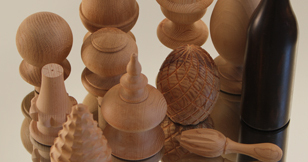 Our woodturners are highly skilled in both traditional woodturning techniques and using modern technologies such as our CNC machines. Using these techniques we can create a wide range of items from door handles to columns with a length of 2.4m and diameter of 0.3m. No order is too big or small for our woodturners, if you require a high quantity of pieces, or just a one off piece our woodturners will be happy to help. We are also capable of creating exact duplicates of existing turned items; we can even creating items using square turning, a very specialised woodturning method used for creating many intricate pieces. We are passionate about our work and strive for perfection on every piece we produce; because of this every piece we create uses only the highest quality materials.